E-media is one of the top Domain name registration and web hosting company in Uganda. We provide high-speed, responsive, fully-featured domains and hosting at an affordable price. Choices are many for Domain Registration & Hosting. The question you need to ask is - "Do they provide any value added services?" or "Are they available when you are in trouble? 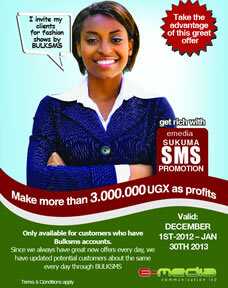 or "Do they help in setting up your Emails".Try "E-media communications Ltd", the No.1 Web Hosting Company in uganda. Host your websites with the best in Industry & Leave burden of hosting to the most reliable & best support team in the Hosting Industry. NO Hidden Charges, NO Extra Fee and NO set up charges, this is our policy and promise to our customers. We provide 99.9% uptime and "Anytime Customer Support (24/7. We have become a trusted name in the web hosting industry with 250+ clients all over Uganda. Our cutting edge technology in web hosting, Makes us pioneers in providing uninterrupted service to all our customers. With E-media you can get 6 months free when you buy a 3 year hosting package.